Over the weekend I saw the animated film Rango featuring Johnny Depp and a flock of critters who carve out a town in the desert, literally thirsting for water. Depp’s performance is subtle, funny and well-honed. But that’s where the brilliance ends. The cast includes shallow stereotypes extracted from 80 years of yellowed films, ranging from the dastardly mayor to the distressed damsel. And the sole Native American embodies the same tired tropes, as old and dusty as the blanket the Indian character wears. The character is a crow (get it?) festooned with black hat and braids, who speaks in monosyllabic fits and starts, just like Tonto. The dialogue pokes a stick at the stereotypes but rather than deflate our notions of what it means to be Indian, the film just adds to Hollywood’s stockpile of one-dimensional characters. 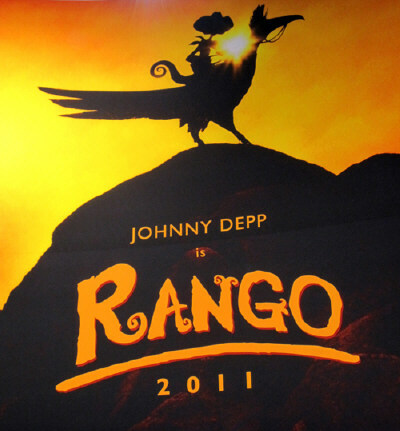 Depp’s character, the lizard Rango, deputizes Crow to help him track the thieves who robbed the town of water. “Want to sniff the air or commune with the buffalo of somethin’?” Rango asks. In another scene, Rango finds Crow peering in the distance and notes he must be consulting with the spirits; but the bird responds that he’s just molting, as his feathers fly. It’s all in fun, and Rango’s remarks aren’t meant to be racist or mean-spirited. I get that. And stereotypes abound in full measure for all the characters: women, Mexicans, the disabled: you name it. But the problem is that the cardboard characters remain trapped in the tropes. So while there’s a little jesting about Crow’s Tonto, he’s encased in mascot form. This entry was posted in authenticity, cinema, film, framing, Indian, news bias and tagged stereotypes. Bookmark the permalink.